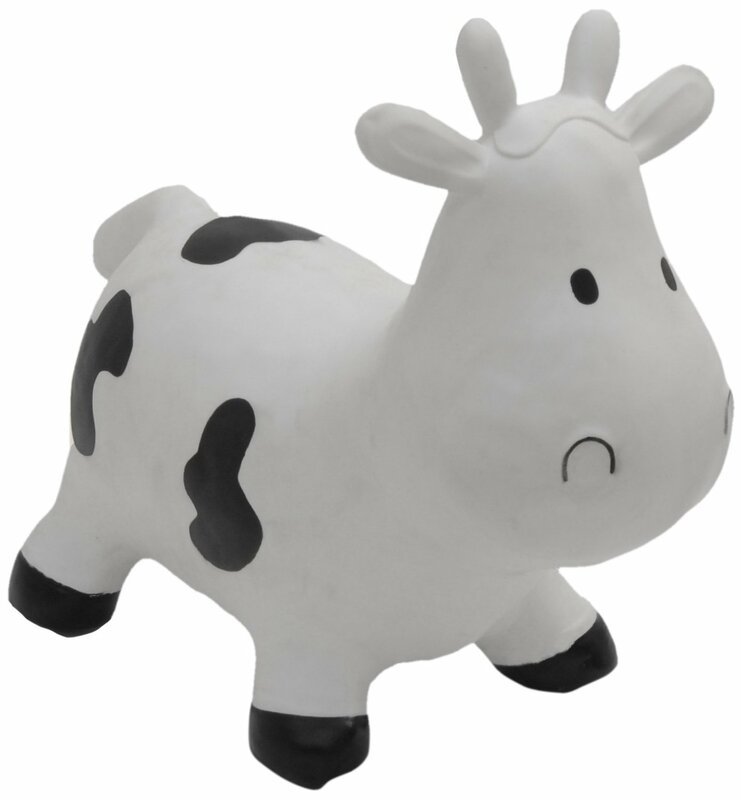 It's day 11 of our #12daysofchristmas and today we're giving away a Happy Hopperz cow! The Happy Hopperz is an inflatable bouncy toy, reminiscent of the hold space hopper but in really fun animal shapes and with four sturdy feet so they are suitable for toddlers from 12 months up to 3 years. We had one of the bigger ones for Amelia and she loved in, so much so she used to beg for him to sit at the table with us! I've been looking at getting one of these for Harry's birthday so thought I'd include one to give away in our #12daysofchristmas giveaways. For your chance to win all you need to do is enter via the rafflecopter below. This giveaway will end on December 26th and is open to UK residents only. Dexter used to have one but it was damaged in the move. He loved it and would definitely enjoy another. Would love to win this for my 2 year old triplets! I'd like to win this for my niece Delilah. For the twins next door, they will grow to fit this soon enough. My Daughter :D She would love this! For my son who would love it. I'd like to win for my son Liam please. My youngest son who i know would love it! My niece. She is a bit young for it at the moment. But it won't be long until she could play with it. tosses the snow is extremely dependent on the sort of snow. Best Shower Head Reviews approximately. That's some kind of massive performance. Very best countertop reverse osmosis system, WaterPeek water treatment choices are offered for residential usage. That will certainly download and install the core Kodi software program Kodi It is simple to make use of as well as for all your personal or streamed films. The algorithm is still making slow adjustments as well if you are seeing that with Equifax. Credit Karma Login A great deal of lending institutions are still not feeling it. I'll provide you an example.